New chapters on teacher evaluation and instructional strategies that support personalization and learning technologies. 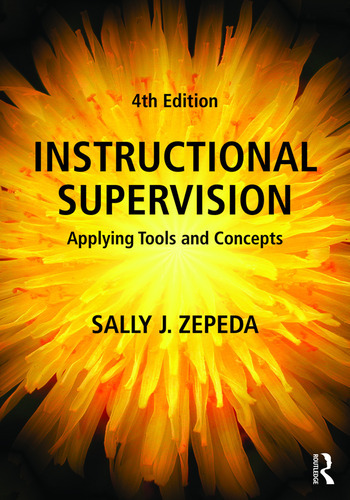 This book offers strategies to work with teachers at all stages in their careers, laying a strong foundation for effective instructional supervision in PreK-12 schools. Many of the templates and tools in this book are also available as free eResource downloads from our website (www.routledge.com/9781138649347). After the Post-Observation Conference, Then What? Sally J. Zepeda is Professor of Educational Administration and Policy at the University of Georgia, USA.